"Brave man from Afghanistan," Ai Weiwei's caption reads on Instagram (@aiww). 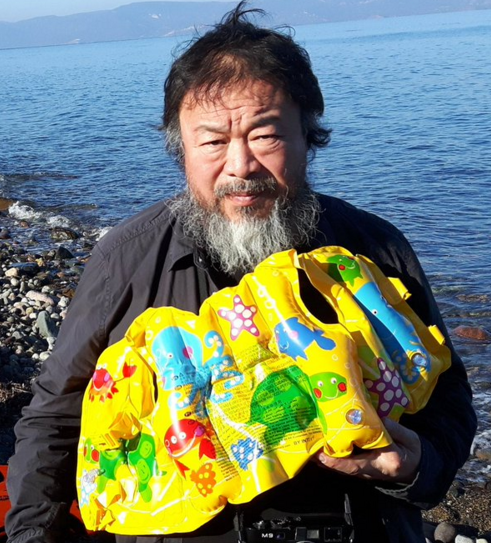 Here are just a few of Ai Weiwei's recent photos from the Lesbos refugee camp; giving a human face to people and entire families escaping war and persecution in their home countries of Syria, Afghanistan, Iraq, Somalia, as well as documenting humanitarian workers, such as the Norwegian group, Drop in the Ocean. All photos by Ai Weiwei via @aiww on Instagram. He is a good man doing what he can thanks Ai. Artful photos attention to style is carefully ejected.